The number of companies looking to expand their investments in warehouse management solutions such as SAP data collection systems and Oracle mobile field service is on the rise, according to new research from Motorola Solutions. Of the survey's 328 respondents, who all work at organizations bringing in at least $15 million annually, approximately two-thirds said their companies would spend more on warehouse management between today and 2018. In particular, Motorola found that as 71 percent move away from pen and paper processing, voice picking software, bring your own device (BYOD) policies and other new IT trends will soon become the norm inside warehouses across the United States. Some of this shift will be in conjunction with already available solutions, the survey found. For instance, while about 67 percent of all items entering warehouse environments today can be logged and sorted using barcode software, that figure is expected to jump to 84 percent over the next five years. 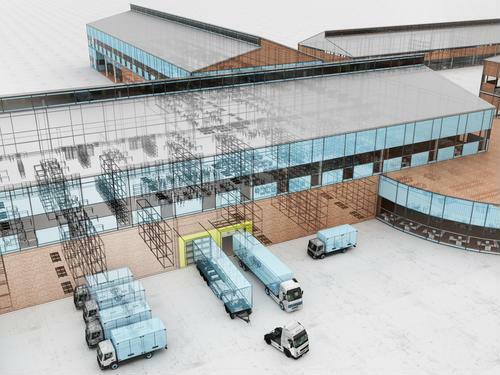 "Warehousing and distribution have not traditionally been the most celebrated functions within leading businesses across manufacturing, retail and wholesale industries," said Mark Wheeler, director of Warehouse Solutions at Motorola Solutions. "But Motorola Solutions' Future of Warehousing Survey revealed that these functions are playing a more important role as businesses in these industries face new pressures to cut costs to enhance profitability and free up capital as well as drive competitive differentiation and business growth." Although survey respondents cited a number of reasons for this rising enthusiasm for warehouse management software, perhaps one of its biggest drivers is the push to maximize available resources to improve overall business profitability. This lines up with the results of the 2013 State of Warehouse/DC Equipment and Technology Survey, which was conducted by Peerless Research Group earlier this year. Logistics Management reported in March that even though inventory counts were rising in correlation to static or declining budgets, many of the organizations polled expressed confidence that their warehouse management systems would enable them to adequately do more with less. While some industry analysts bemoaned the more modest spending totals unveiled by PRG's study, Logistics Management reported that more businesses will likely be investing in warehouse management options in the coming months. Half of those polled said they will spend more to procure hardware and software during the upcoming year, highlighting just how important supply chain collaboration and data sharing has become to organizations seeking improved profit margins. "For more than 20 years, we've been talking about trading partner collaboration and the importance of sharing information across trading partners to reduce order cycle times and improve visibility," said John Hill, director at supply chain engineering firm St. Onge, according to Logistics Management. "People are embracing collaboration not just philosophically, but actually. If that's true, it suggests we need to make investments in technology and systems that enable real-time information." A high quality supply chain management solution should not be considered a panacea capable of solving all of a company's warehouse-based woes. However, when inventory management teams are equipped with speech recognition software and other new tools, their effectiveness rises and enables the entire organization to profit in time. The two studies serve to show that this thought process is becoming more pervasive than ever at enterprises nationwide.